Australian teachers and the education community are calling for a greater focus on teacher performance and development. 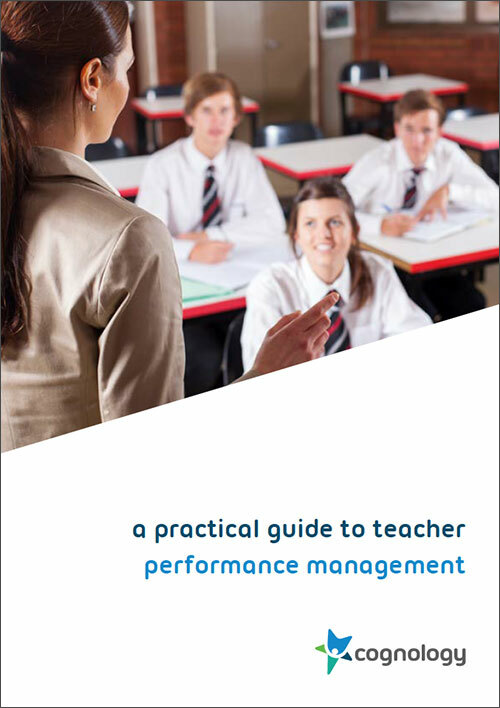 Now that you’re thinking about your team, take a look at our performance management whitepaper specifically for teachers. It’s free to download and will take your performance reviews to the next level. Why is teacher performance management important? Australia wants to position itself as a world leader in education. It is widely accepted that the key to higher performing students is the effectiveness of their teachers. Studies suggest that students with a highly effective teacher learn twice as much as students with a less effective teacher. A performance management system is not just a set of forms to fill in. Nor is it just about applying impersonal scores or ratings to individuals to quantify their contribution. Rather, performance management is an ongoing communication process between teachers and their supervisors throughout the year focused on improving their effectiveness. access high quality support to improve their practices. All teachers should have an agreed set of documented goals related to both their performance and professional development. Goals should take into account the individual’s capabilities as well as the school’s priorities. Whilst the focus of graduate teachers will be to satisfy the proficiency requirements and register as a teacher, for experienced staff the pathways for development may differ depending on the individual. For most experienced teachers, professional development activities will be classroom focused based on their particular interests and needs. Others, however may decide to pursue further qualifications such as accreditation under the Australian Professional Standards for Teachers or post-graduate studies. Meaningful feedback is essential to improving teaching practices. Best practice performance management begins and ends with self reflection under the guidance of a supervisor, coach or mentor, and is characterised by frequent, real-time feedback involving colleagues as well as leaders. The annual performance review discussion then just becomes the culmination of these formal and informal discussions that precede it throughout the year.Evidence used to reflect on and evaluate teacher performance should come from multiple sources including student data; direct observation; and peer feedback. Clearly school principals and executives have a key role to play in driving and managing the performance of their staff. They set the priorities and oversee the development of curriculum and teaching practices employed in the classroom. However what is often overlooked is that the teachers themselves also have a powerful part to play in each others’ development. A performance and development culture requires an openness and preparedness by all staff to giving and receiving feedback for improvement. Peer feedback can generate a valuable source of information, perspectives and ideas that teachers can draw upon to improve their performance. The Australian Professional Standards for Teachers outline what effective teaching looks like at various stages of a teacher’s career. However, it is important to recognise that all schools are different: they operate in unique contexts and have their own specific challenges. Each school will therefore have their own set of priorities to focus on. A performance management system must be flexible enough to cater for schools at different stages along the performance journey. We are facing a teacher shortage crisis that may only worsen if we do not address the issues that are driving talented individuals away from the profession. Effective performance management will be key to ensuring schools provide satisfying and challenging environments that produce quality teachers and attract the best and brightest to the profession. Development focused performance management enriches the careers and lives of Australian teachers. Teachers experience greater job satisfaction when they are given the opportunity to hone their skills and become better equipped to meet the demands of their roles through feedback and coaching. But the most significant benefit is undoubtedly the improvement in the results of Australian students. More effective teachers means better student outcomes. And when all is said and done, there really isn’t a more compelling reason to invest in teacher performance than the future of our children. Everything you need for your new employee What paperwork do I need for new Australian employees?